MALOLO ISLAND – October 22, 2018 – The annual Hotel Investment Conference Asia Pacific (HICAP) has announced the winners for the HICAP 2018 Sustainable Hotel Awards and Six Senses Fiji is thrilled to have taken the title in the Climate Action Category. The awards are designed to recognize hotels in the Asia Pacific region, creating innovative new methods, strategies and technologies to face today’s sustainable development challenge, while providing tangible examples of sustainable best practices that can be replicated and adapted across the region. Giving back to the environment is just as important as reducing energy consumption and working with a zero-waste mindset, therefore Six Senses Fiji works diligently to reforest, both on land and underwater in the surrounding area. A marine conservation project is ongoing with the team planting coral in the bay in front of the resort and regularly monitoring the results. Since the initiative began 3 1/2 years ago the group has seen brilliant progress, with a thriving coral garden as the outcome. Additional efforts can be seen throughout the resort and also behind the scenes, including the use of stainless steel straws, low chemical pool infiltration and worm-based septic systems, to name a few, ensuring that the resort and guests drastically reduce their environmental footprint. Solar panels are positioned on the rooftop of a residence at Six Senses Fiji. 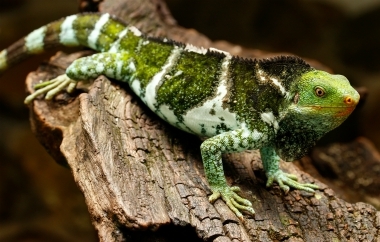 Six Senses Fiji is home to the endangered Fijian crested iguana. Located on the idyllic Malolo Island, with sandy beach and turquoise lagoon, Six Senses Fiji comprises 24 pool villas with private decks and modern comforts; all complemented by ever-smiling Fijian hosts. For families and groups, two- to five-bedroom residences come with pool, kitchen, dining room and generous living spaces, offering wonderful panoramas and easy access to the resort’s facilities. Dining options highlight local ingredients, while a Six Senses Spa offers a layered approach to wellness. 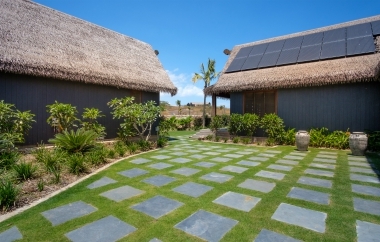 The resort also hosts Fiji’s largest off-grid solar power system. Activities include a wide range of experiences such as snorkeling, scuba diving and surfing. Six Senses Hotels Resorts Spas operates one hotel, 15 resorts and 31 spas in 21 countries under the brand names Six Senses, Evason and Six Senses Spas. The portfolio will triple over the next five years with resort, hotel and spa openings underway in Austria, Bhutan, Brazil, Cambodia, China, India, Indonesia, Israel, St. Kitts and Nevis, Singapore, Spain, Switzerland, Taiwan, Thailand and the United States.